Fortnite is a free-to-play game that you can play on PC, Xbox One, PlayStation 4, Nintendo Switch, and mobile. It includes cooperative, competitive, and creative modes that all allow you to play with other people. If you prefer to game with friends instead of strangers, then you'll need to learn how to add friends on Fortnite. When you play Fortnite on a console, you immediately have the option to play with friends who also use that same console. For example, if you're playing on Xbox One, you can invite your Xbox Live friends. In that same vein, PlayStation 4 players can invite their PlayStation Network friends. Fortnite is a cross-platform game, which means that PC players can play with Xbox players, Nintendo Switch players can play with mobile players, and so on. If you want to play with a friend who is using a different platform, then you need to add them through Fortnite or the Epic Games launcher PC app. 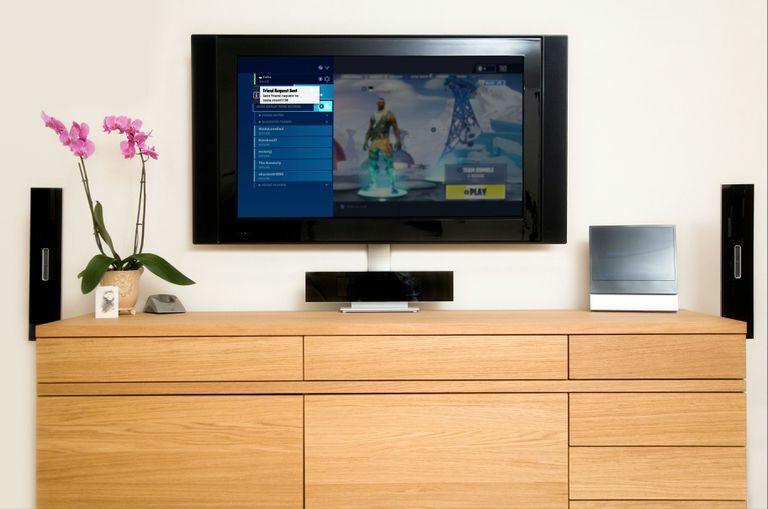 When Fortnite launched, Sony prevented PlayStation 4 users from playing with Xbox One and Switch players. That prohibition is gone, so you really can add friends on Fortnite from any platform, regardless of which platform you're using. Fortnite makes it pretty easy to send friend requests to friends on other platforms, and you can also send them to people you have played with recently. Launch Fortnite, and create a Save the World, Battle Royale, or Creative lobby. The type of lobby you create doesn't matter. Friends added in Save the World mode are also available in Battle Royale, and vice versa. If you want to play the game as soon as your friend accepts your request, then create a lobby for the mode you want to play to save some time. Click or tap the friends icon that looks like human silhouettes if you're playing on PC or mobile. On Xbox One press the view button (looks like two boxes); on Nintendo Switch, press the - button; and on PlayStation 4, press the touchpad button. Click or tap ADD FRIENDS if you're playing on PC or mobile. Xbox One users, press X. Nintendo Switch users, press Y. PlayStation 4 users, press Square. Select the ENTER DISPLAY NAME OR EMAIL, and enter your friend's Epic Games display name or their email. Xbox One users can access this field by pressing A. Nintendo Switch users have to hit B. PlayStation 4 users have to hit X. You will also find suggested friends and recent players on this menu. If you want to send a friend request to someone you played Fortnite with recently, select them from this menu. If you enter your friend's display name or email address correctly, you will see a Friend Request Sent message. If your friend accepts the request, they will show up in your friends list in the EPIC FRIENDS section. Can You Add Fortnite Friends From Outside of Fortnite? When you add friends on Fortnite, you're adding them to your Epic Games account. Epic Games is the developer and publisher of Fortnite, and they have a PC app that acts as a launcher for the PC version of Fortnite and a store where you can buy other games. If you have a friend who plays Fortnite, and you want to add them to play later without actually launching Fortnite, you can use the Epic Games app on your PC. This way if you're playing a different game on your console you don't have to launch Fortnite just to add someone. Adding friends through the Epic launcher is a great way to easily play cross-platform with all your friends, regardless of whether they play on Xbox One, PlayStation 4, PC, or mobile. To add a Fortnite friend through the Epic Games launcher, click Friends > Add a Friend > enter your friend's name or email > Send.